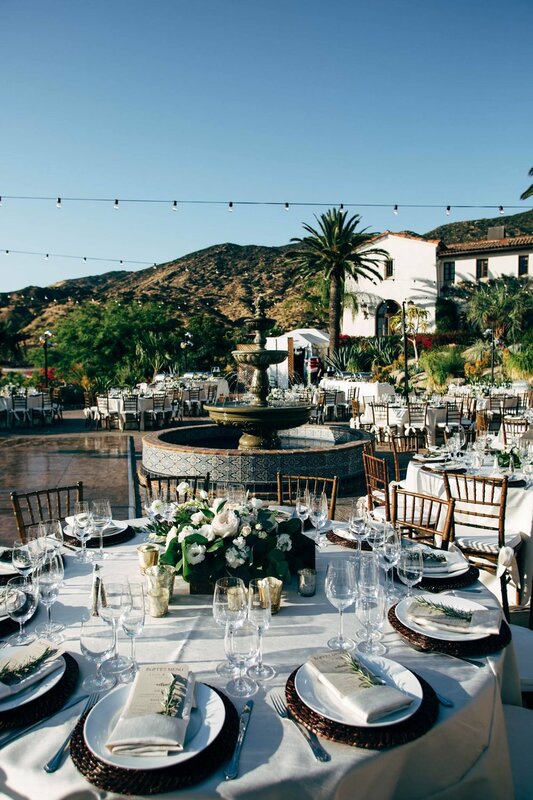 Southern California's Coachella Valley near Palm Springs is a perfect destination for couples looking for a dream wedding location set against a desert oasis backdrop with palm trees and mountain vistas. 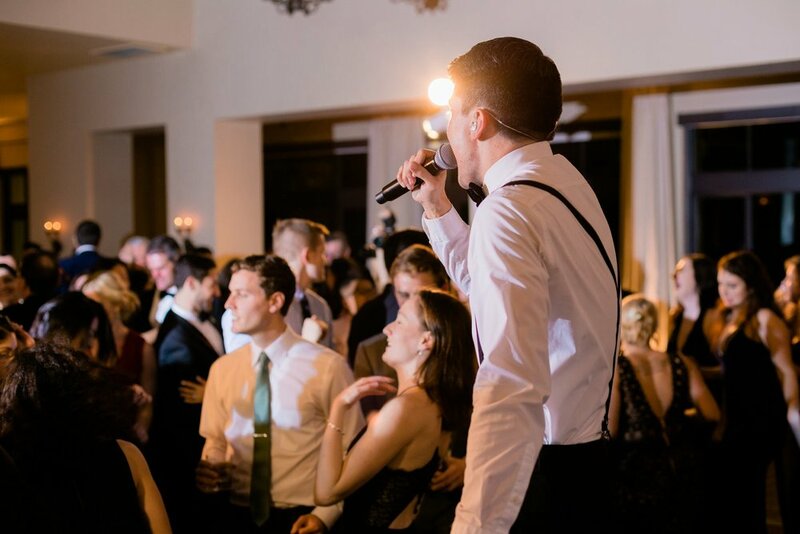 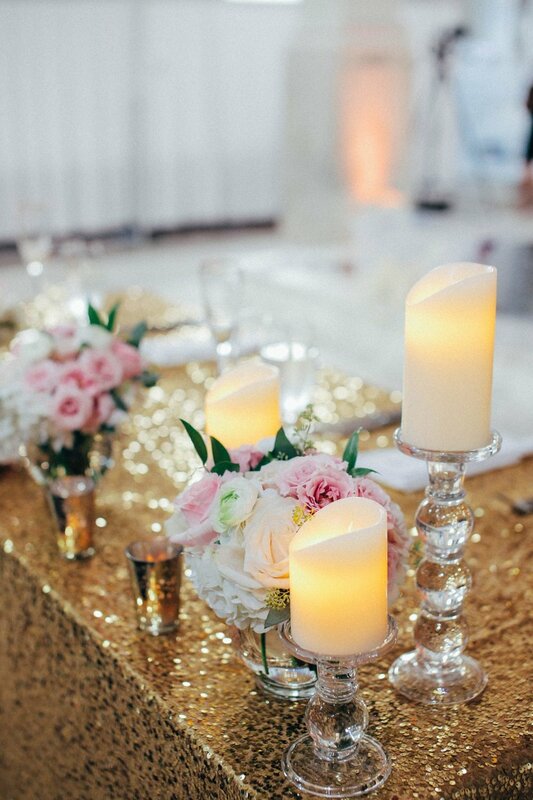 Gold Standard recently performed at the gorgeous Omni Rancho Las Palmas Resort & Spa for Charlie and Maggie's wedding, and it was an unforgettable party! 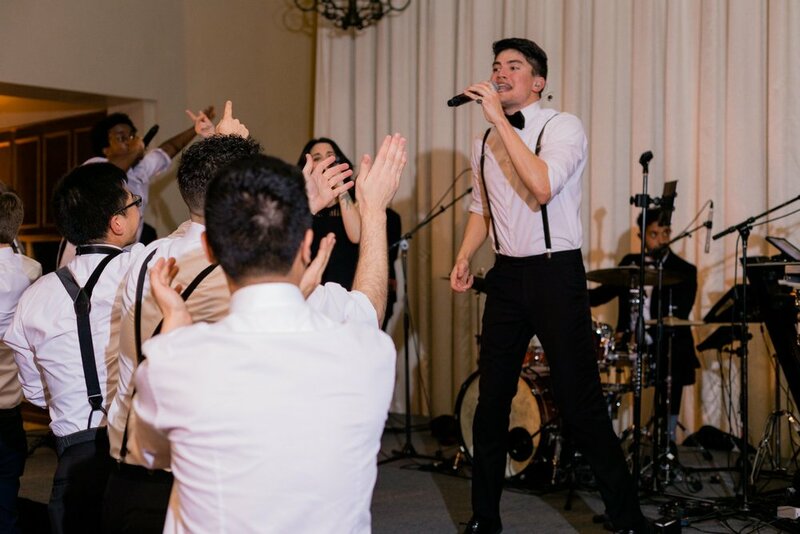 The 10-piece band kept guests dancing under the stars all night! 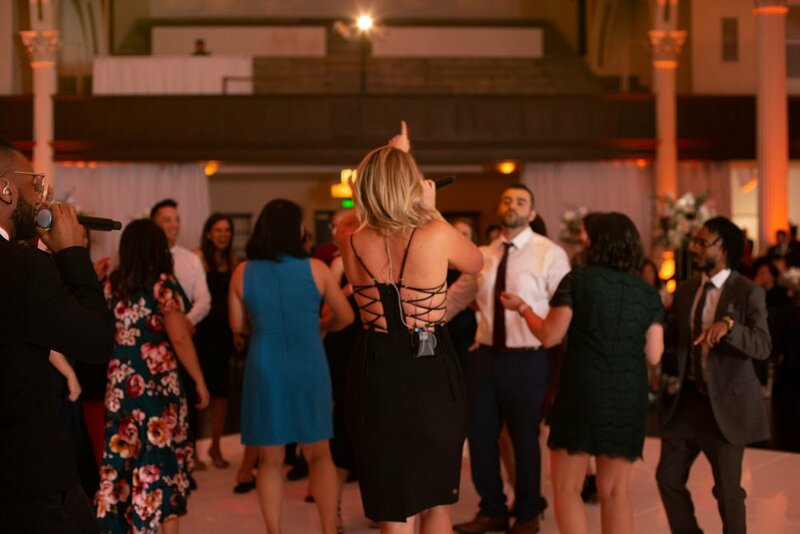 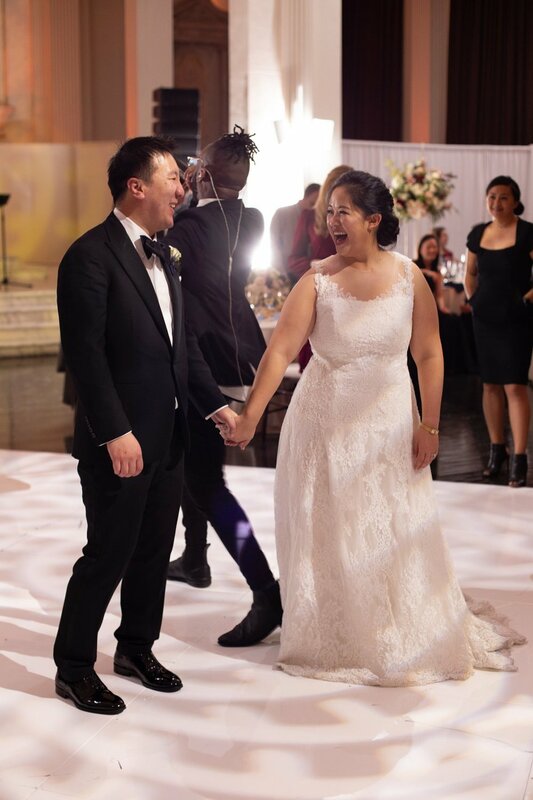 There were dance battles, live performances of the couples' first dance and special parent dance songs, and the singers never missed a moment to get out into the crowd during the high energy dance sets! 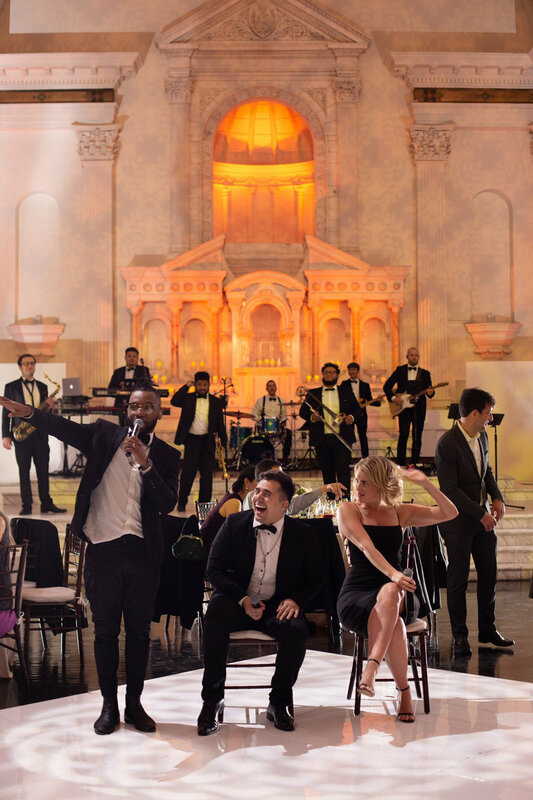 For more information on Gold Standard, visit their artist page here. 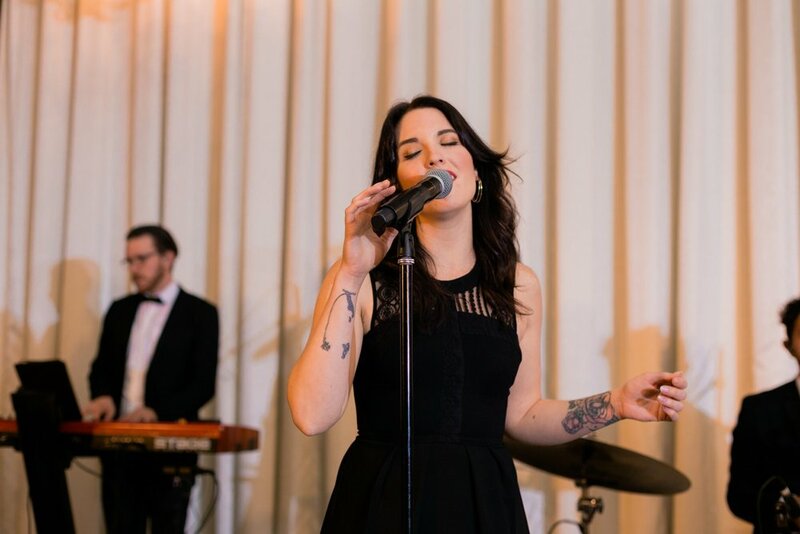 To book live entertainment for your next special event or wedding, click here. 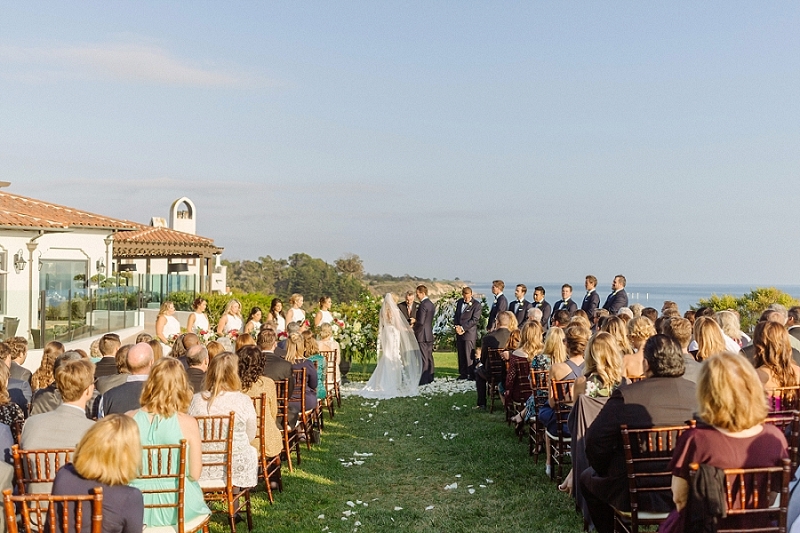 The Adamson House is one of the best historic venues for a wedding right next to the shores of Malibu. 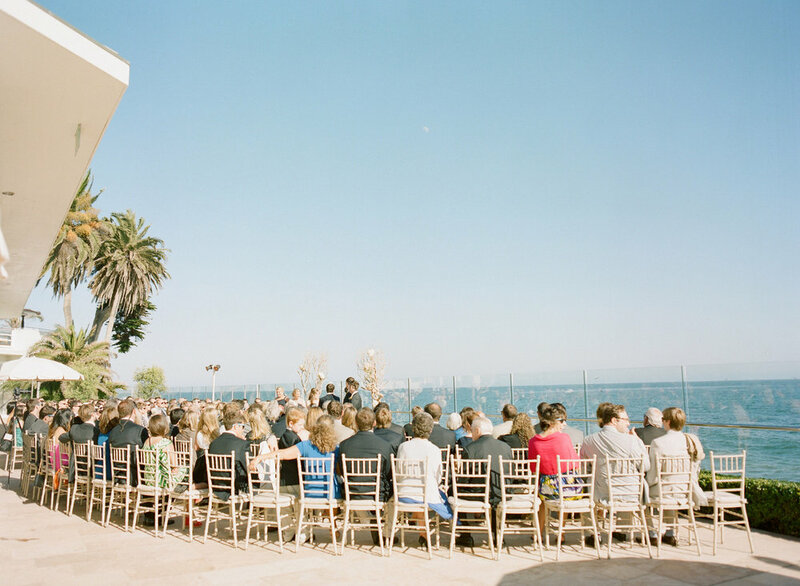 A location that will have your guests in awe as they enjoy the scenic view and touch of history. 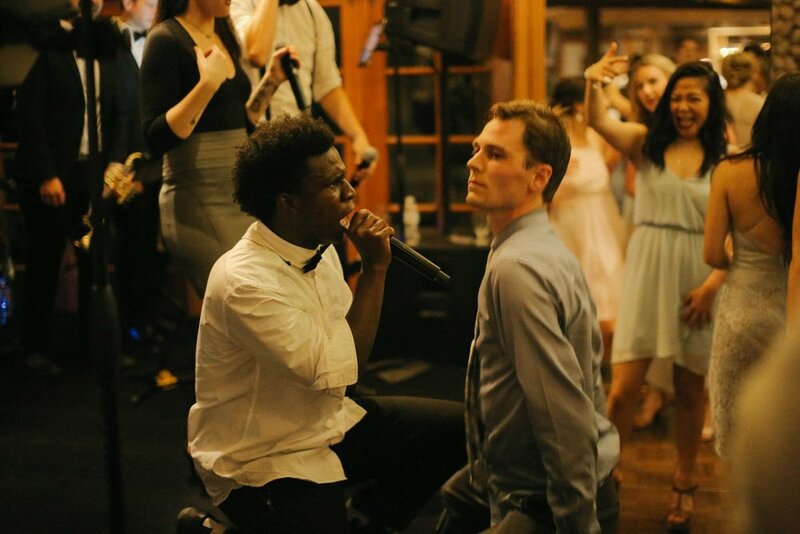 Gold Standard shared a night of celebration and played their little hearts out. 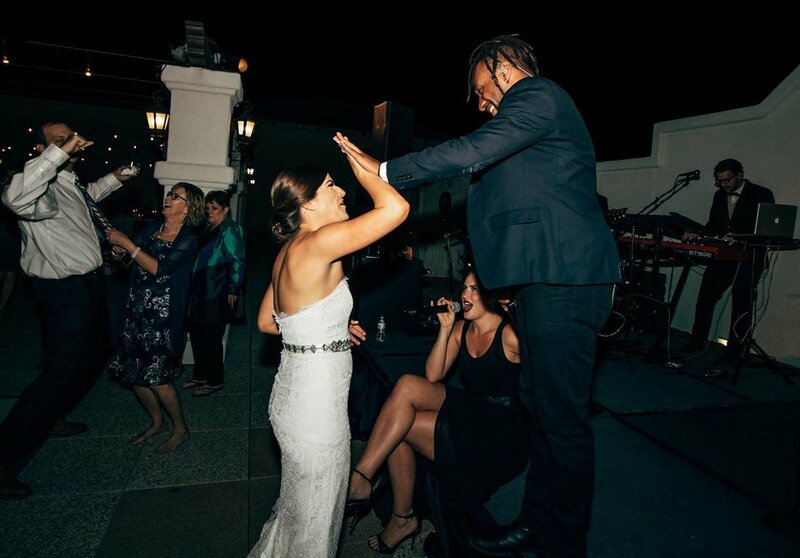 Nothing is better than having good music, the people you love, and the ocean breeze to celebrate your special night. 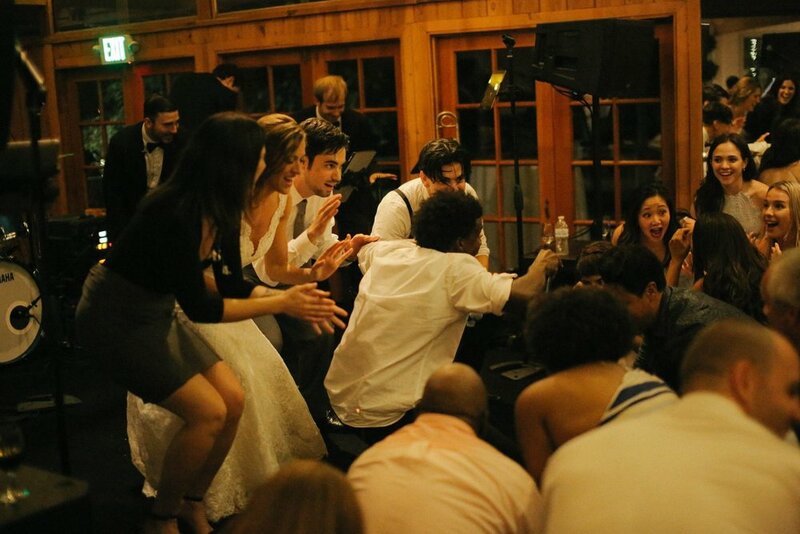 To hear and see more from Gold Standard, visit their artist page here. 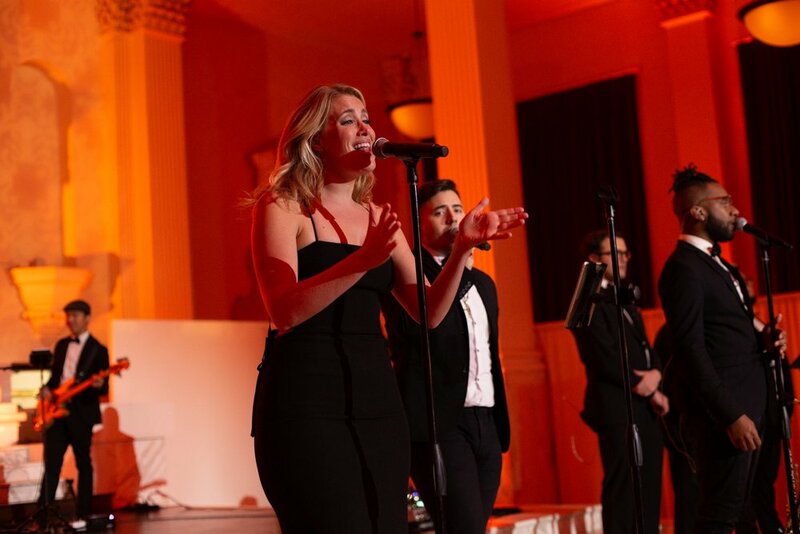 To book live entertainment for your next special event or wedding, visit our booking page here. 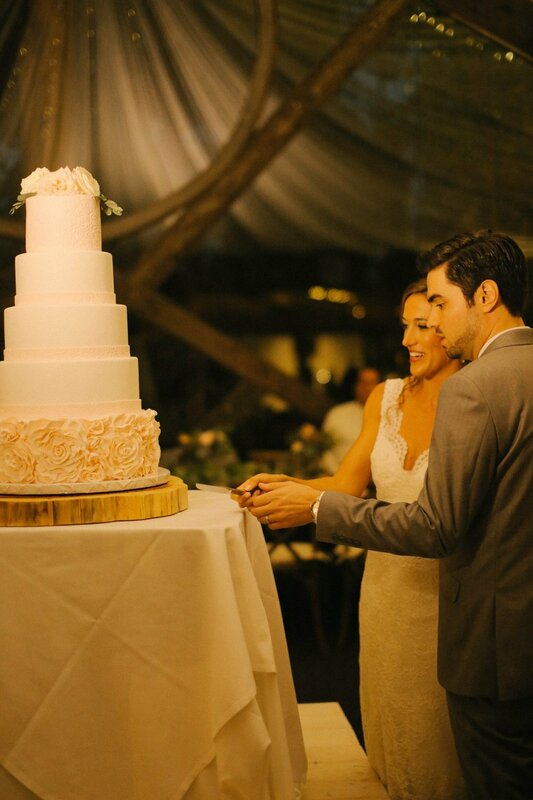 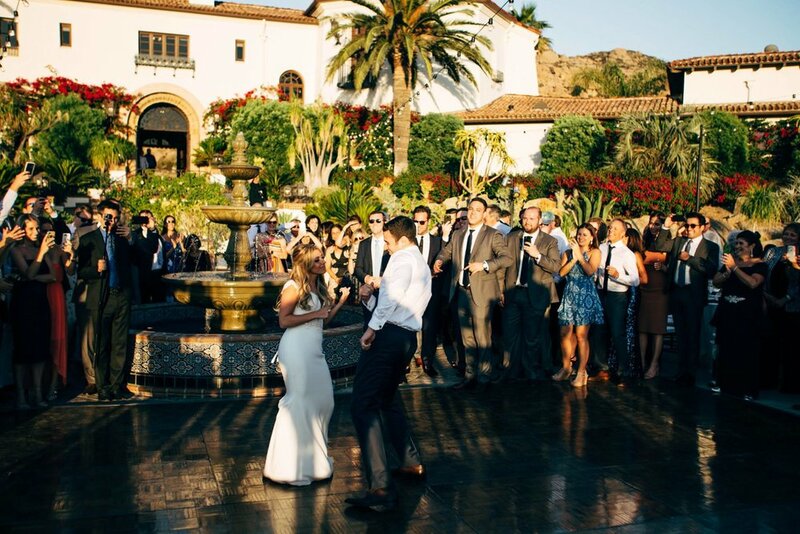 Not only is Malibu's Hummingbird Nest Ranch a dream venue to for weddings, but it's also a dream venue for entertainers to perform! 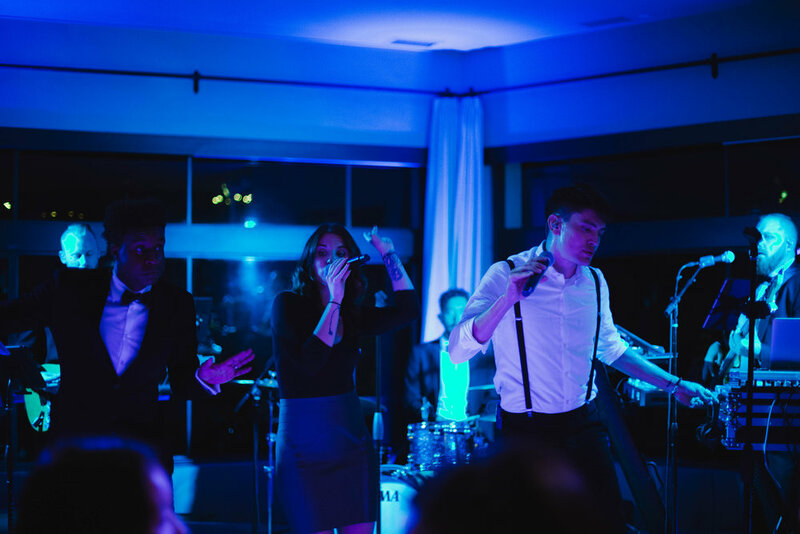 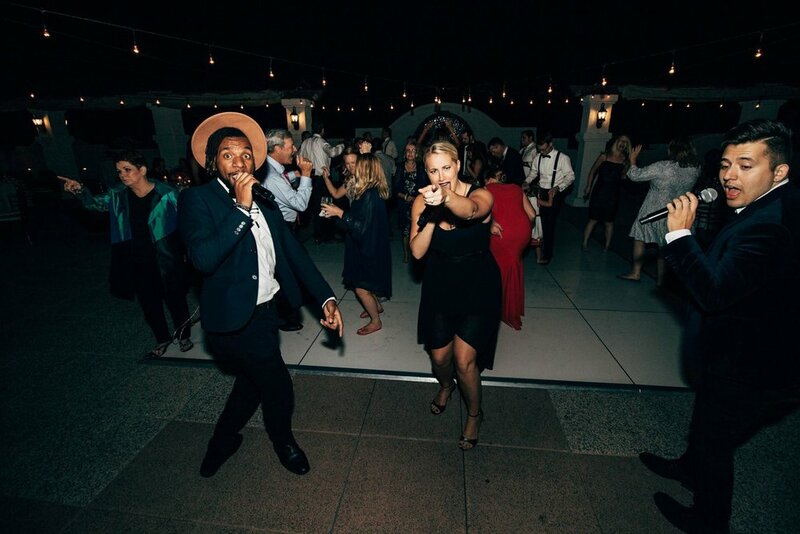 Dance band AMFM traveled up into the Santa Susana Mountains for a recent summertime wedding and it was a beautiful celebration. 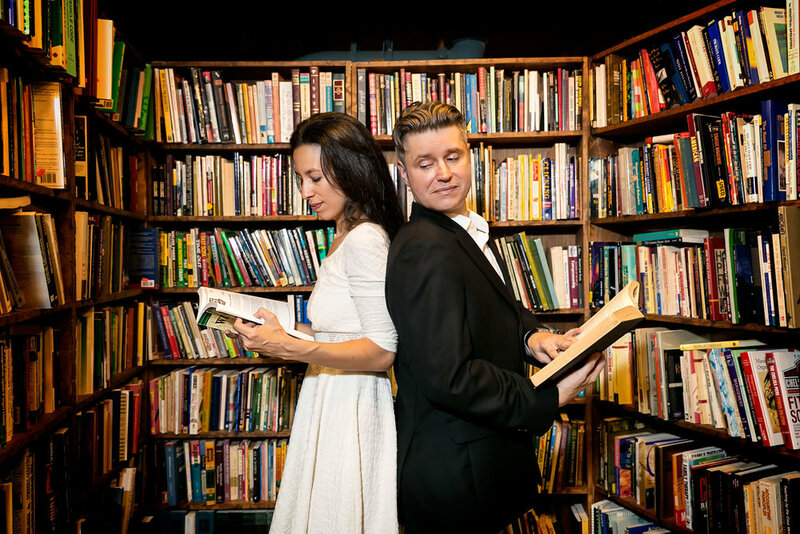 To hear and see more from AMFM, visit their artist page here. 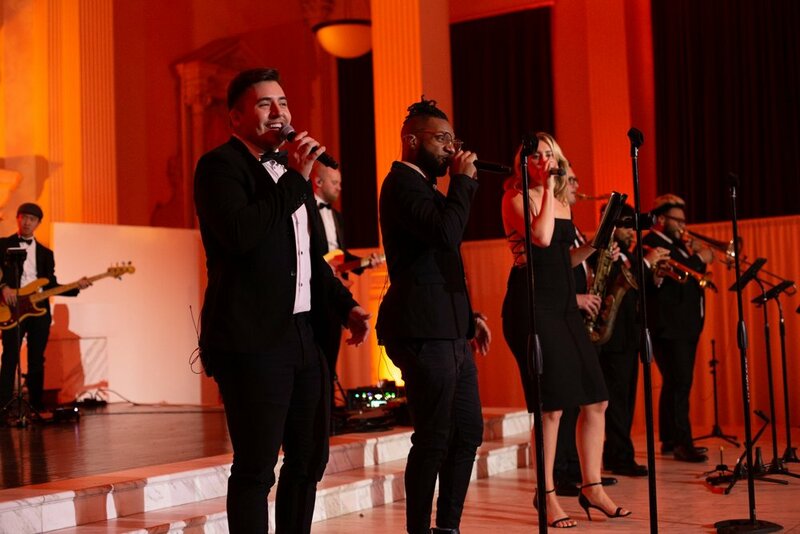 To book live entertainment for your next special event or wedding, visit our booking page here. 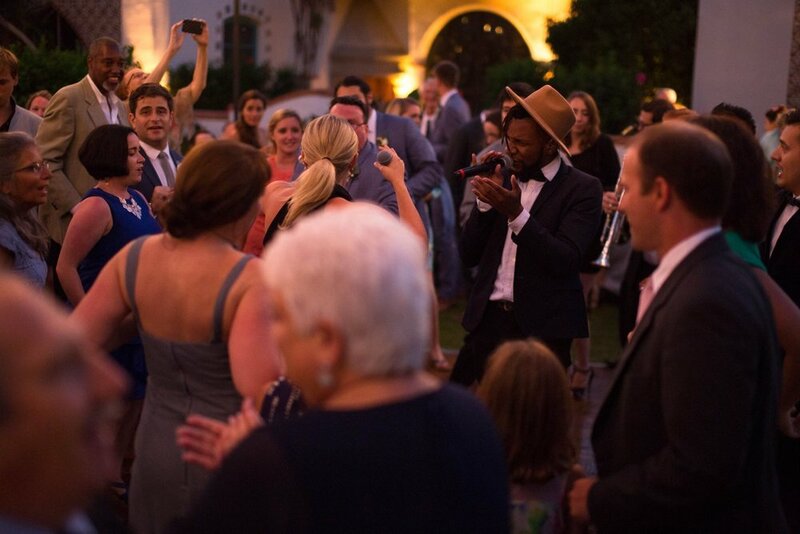 It's always a party with our highly sought after dance band, Soultones! 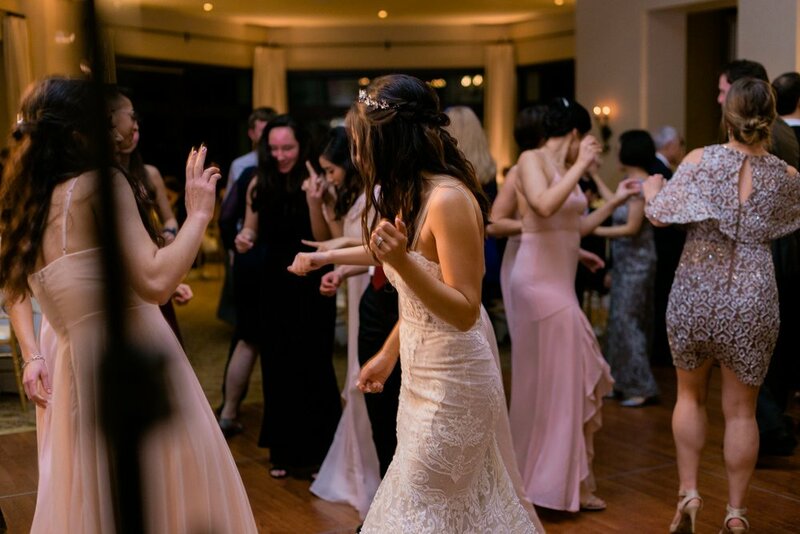 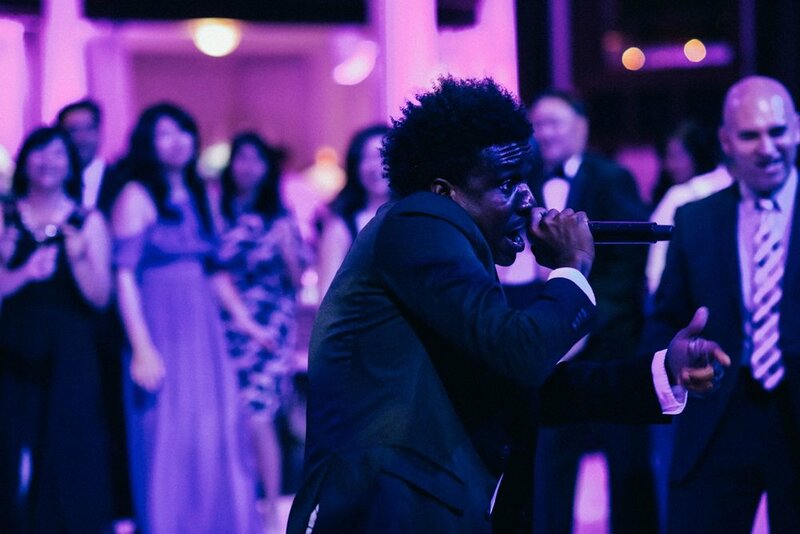 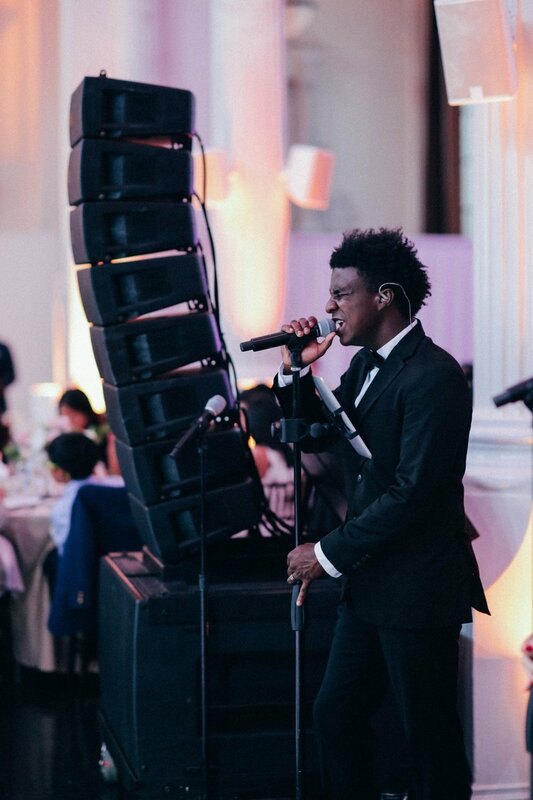 The group recently brought their high energy and crowd-favorite performances to a beautiful wedding at Malibu's gorgeous Bel-Air Bay Club. 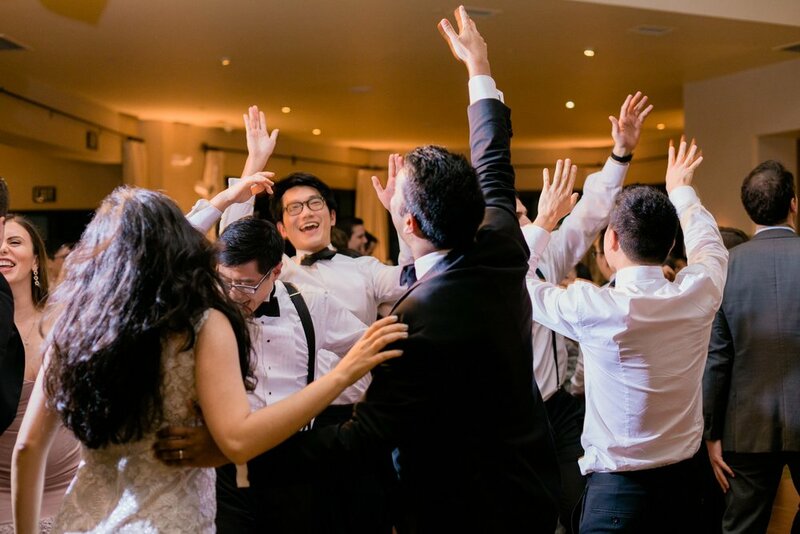 The evening was a blast, and we love making our couples and their guests happy! 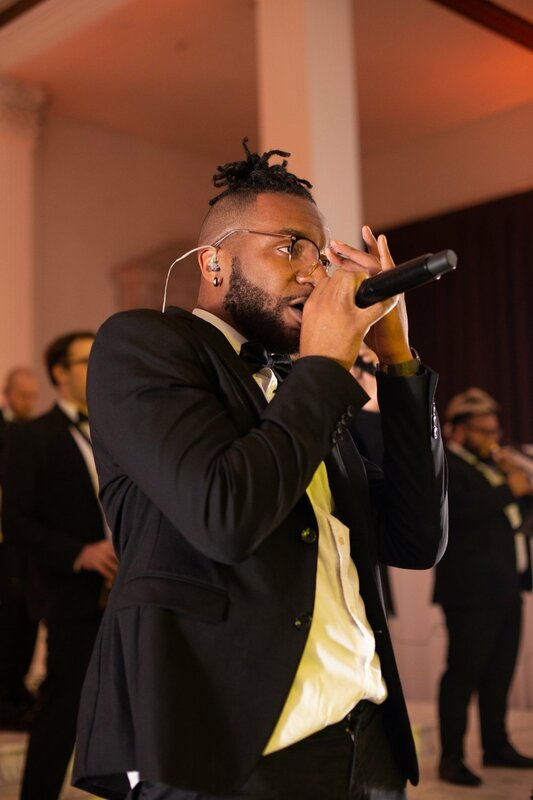 To learn more about Soultones, visit their artist page here. 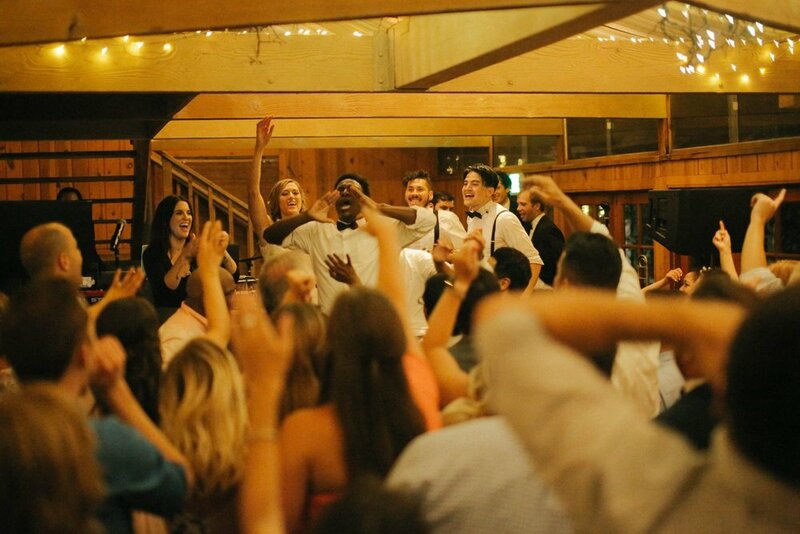 To book Soultones for your wedding or special event, visit our booking page here. 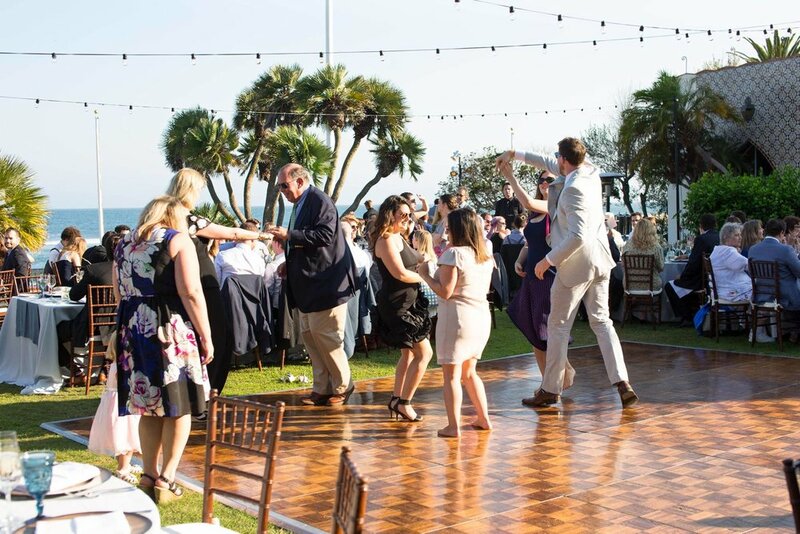 Last night, AMFM traveled to Newport Beach to perform at the gorgeous five-star luxury venue, The Resort at Pelican Hill. 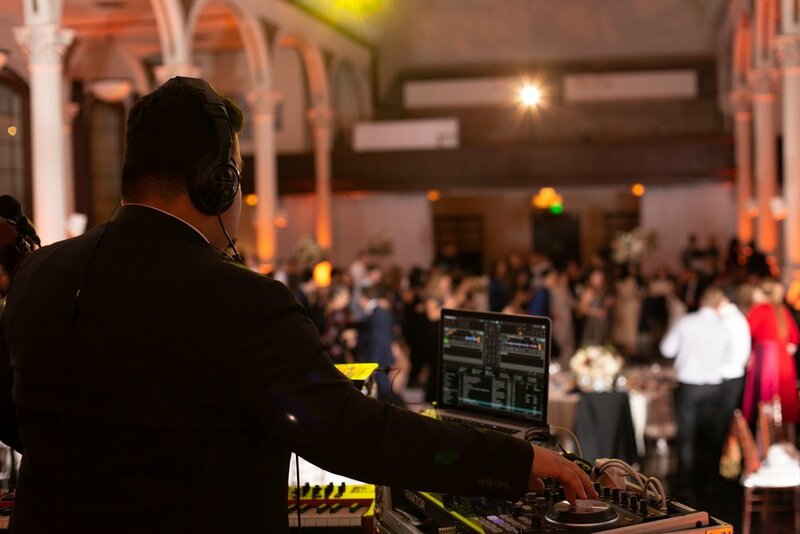 All of the bands at Downbeat LA have had the opportunity to visit and perform at weddings and special events that are exclusively held on the Mar Vista property, which are always stunning. 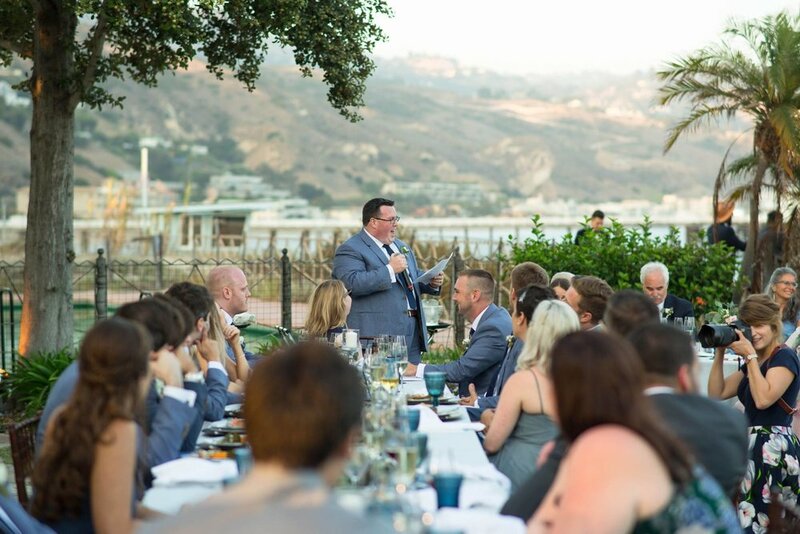 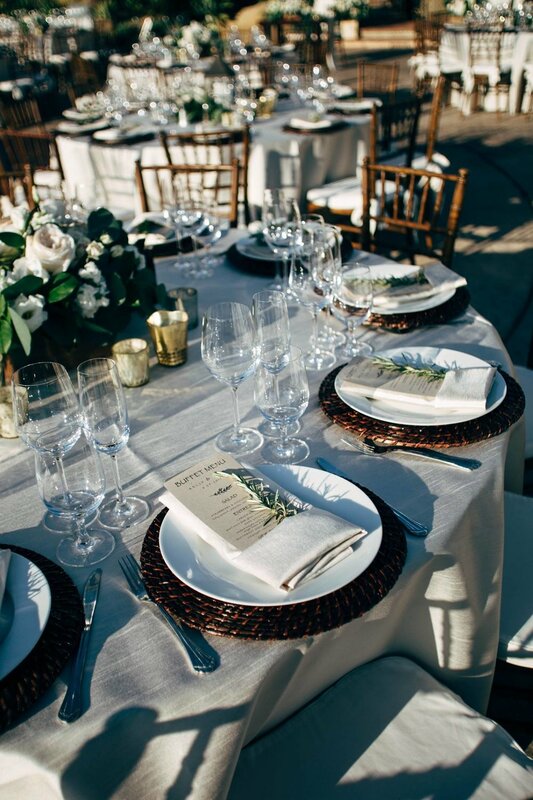 From the outdoor space that's perfect for ceremonies and cocktail hours, to the grand ballroom area where dinners and receptions take place, the scenery and the entire staff are simply the best and we love being a part of the team when we visit! 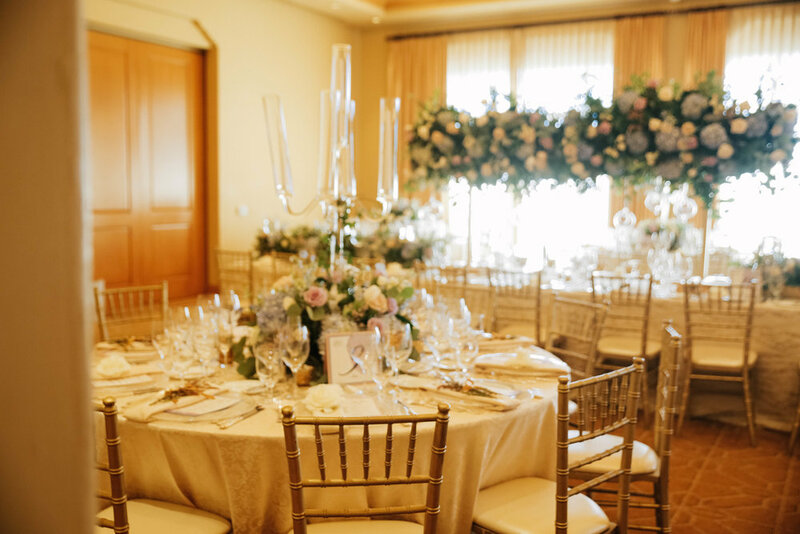 "With gorgeous views from nearly every vantage point and a location that is conveniently not too far from home, Pelican Hill is the ideal locale to enjoy the best of everything Southern California has to offer. 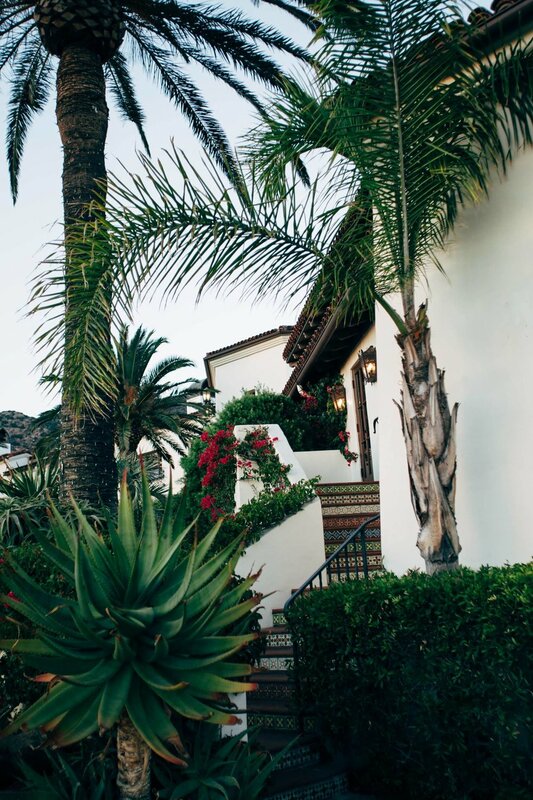 Unwind at the Coliseum Pool, stroll along the shoreline at our neighboring beaches, or tee off for a round of world-class golf as you soak up the radiant OC sunshine." 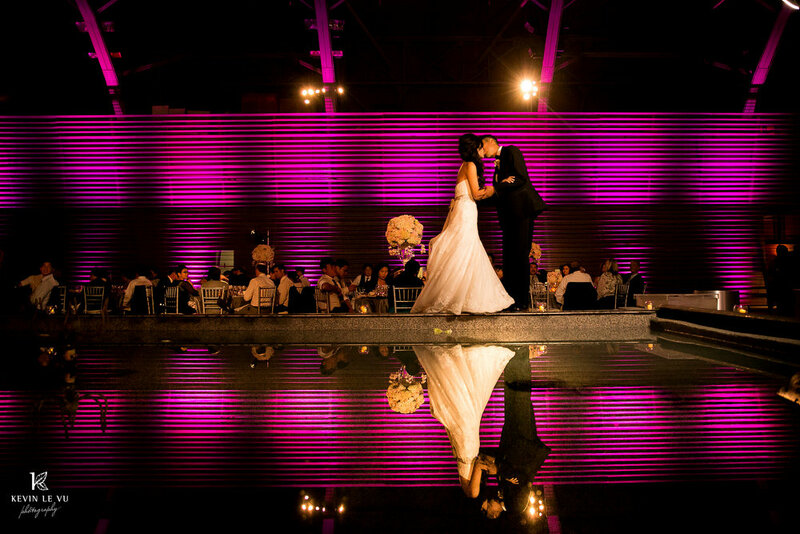 Los Angeles is home to many different and unique wedding and event spaces for those looking to take a more unconventional approach to the big day. 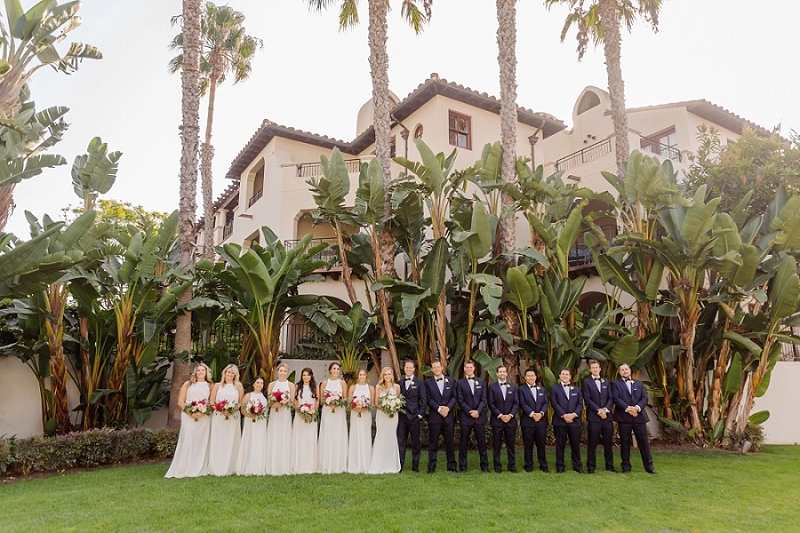 In fact, any city will have historic locations, popular attractions, museums, libraries and public spaces that can accommodate weddings if you can find one that suits you. 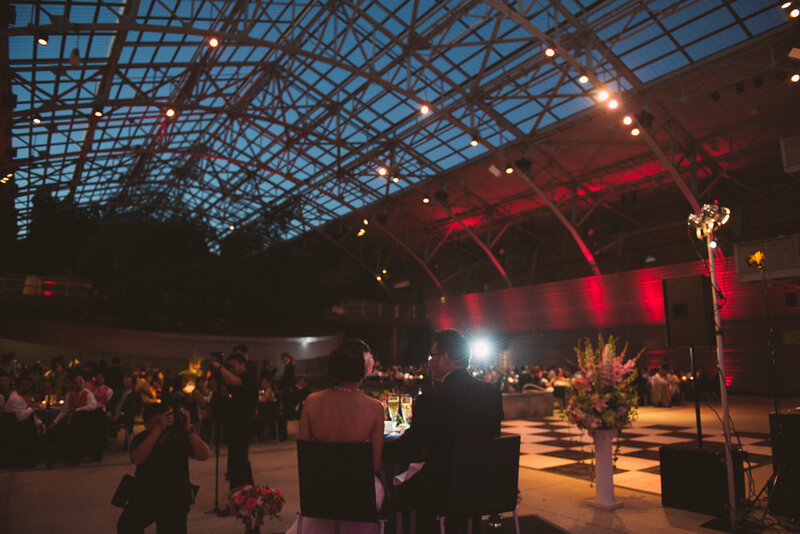 Imagine having your wedding ceremony in the African Mammal Hall or North American Mammal Hall, then taking guests to the impressive Grand Hall or Rotunda to continue the celebration in true "Night at The Museum"-style. 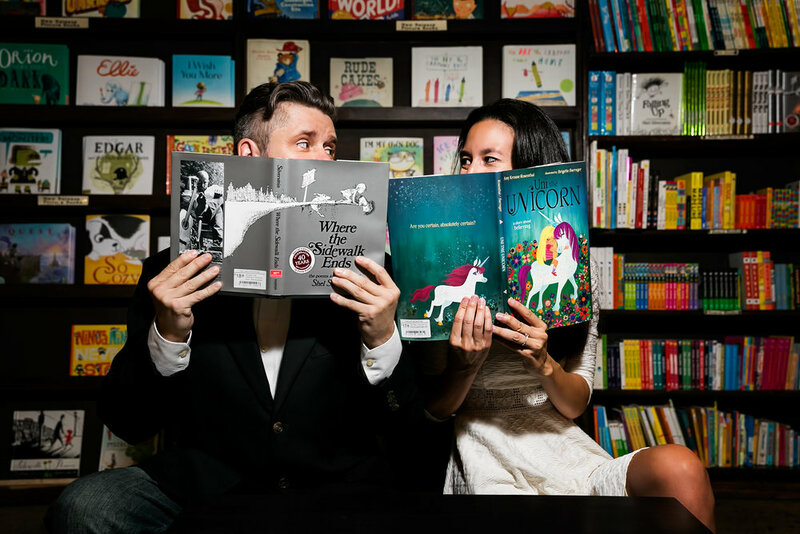 Archways of books, labyrinths of shelves and hidden passageways make up this iconic bookstore in Downtown Los Angeles, perfect for the book-loving couple who are looking for a unique and intimate gathering for their big day. 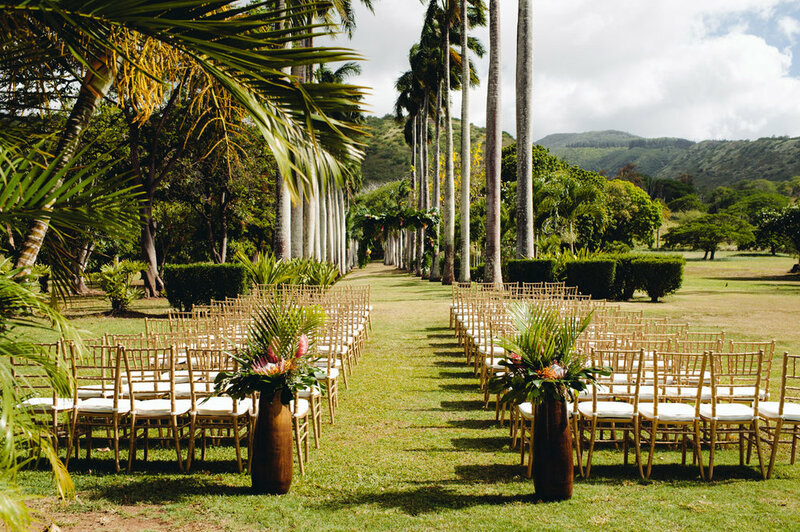 This 207-acre estate has endless possibilities when it comes to weddings. 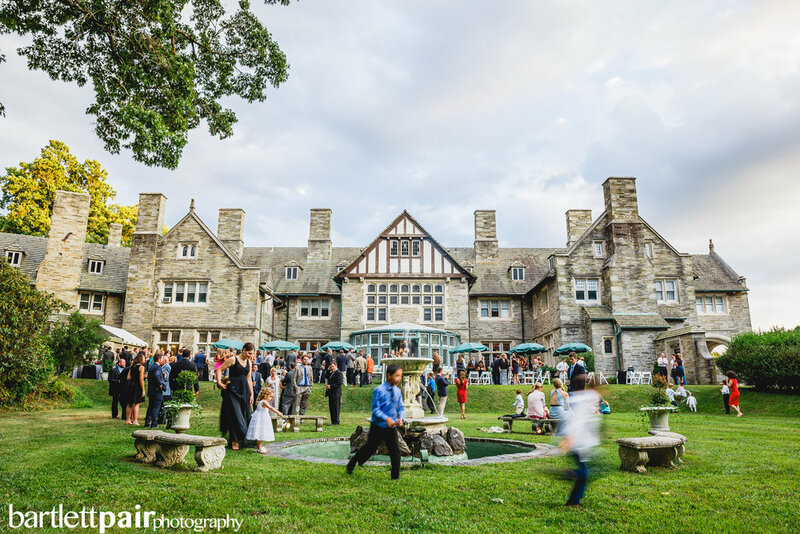 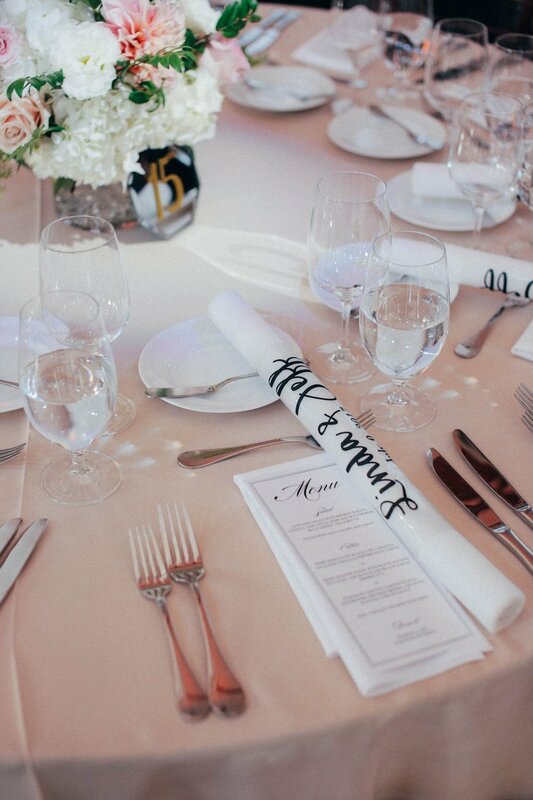 If the idea of being surrounded by art, history and literature on your big day excites you (and you don't mid a site fee between $50,000-$150,000), then this is the place for you! 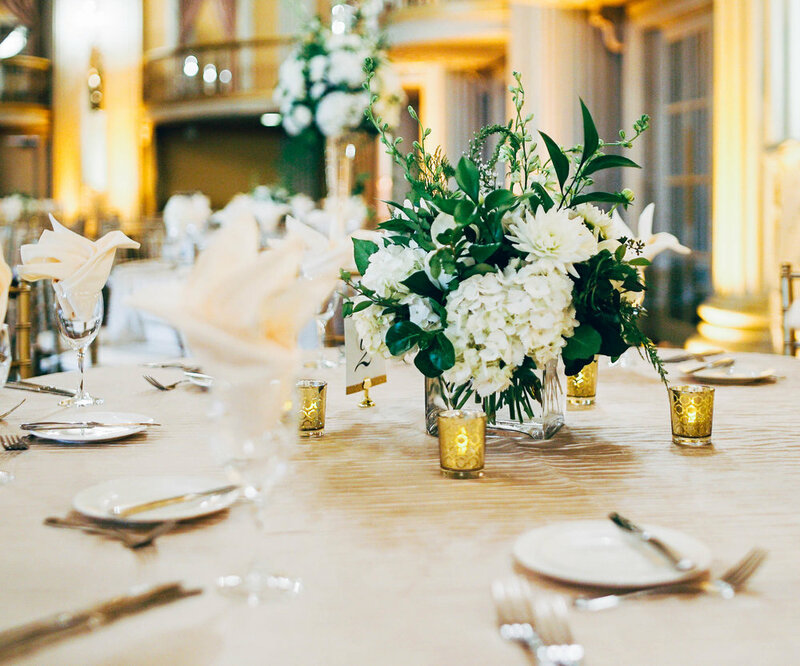 Did you know you can host your wedding in the Samuel Oschin Pavilion, which is home to the space shuttle Endeavor? 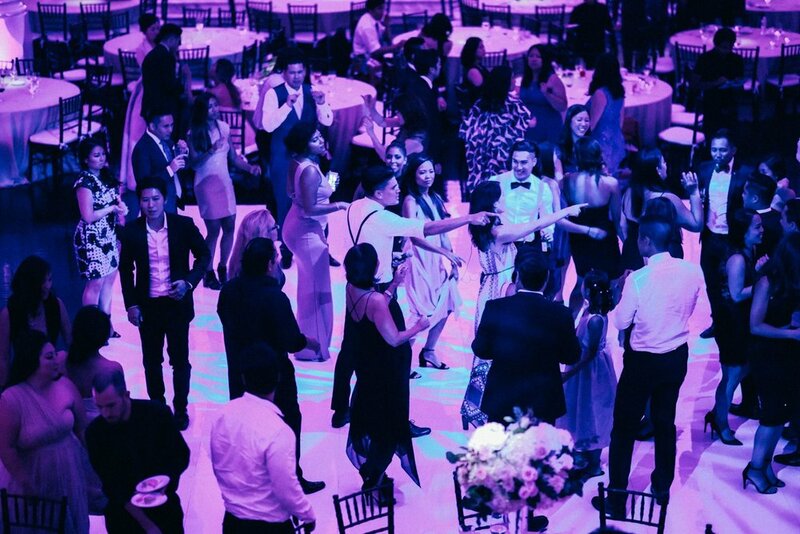 You and guests can dance the night away under the last orbiter built by NASA. 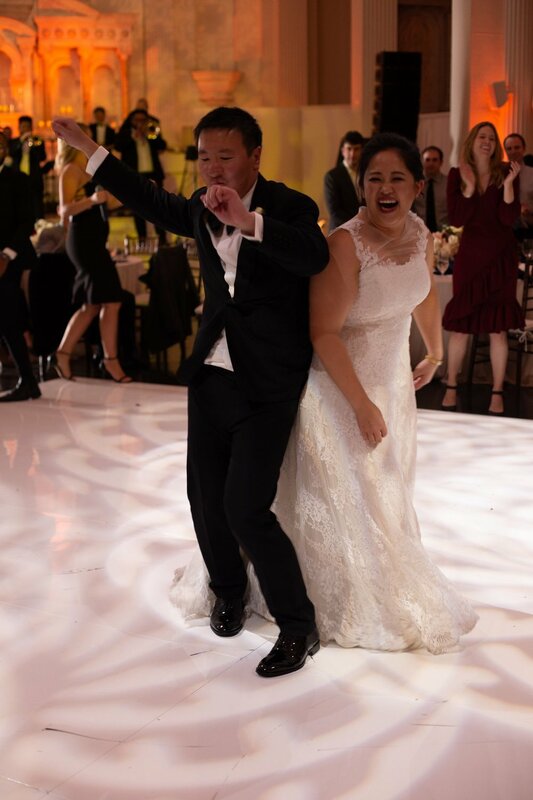 Space junkies, you're welcome. 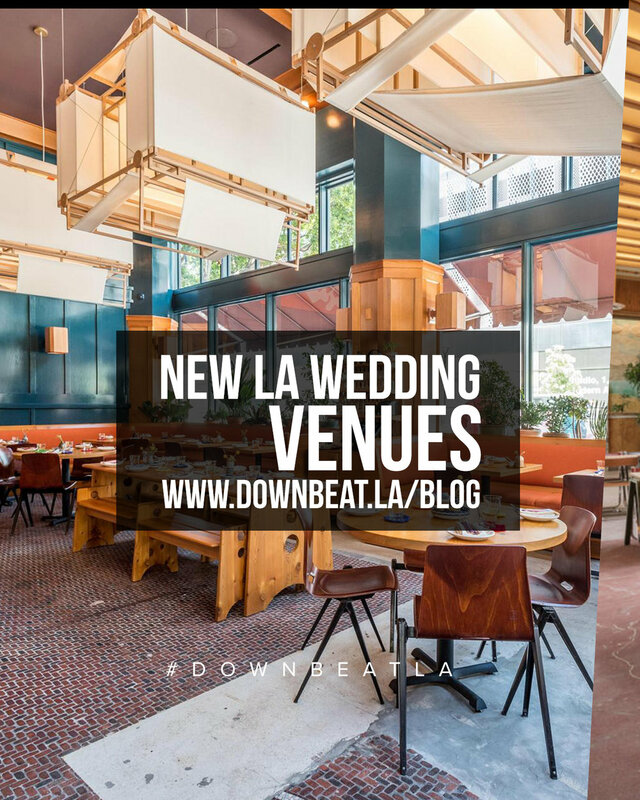 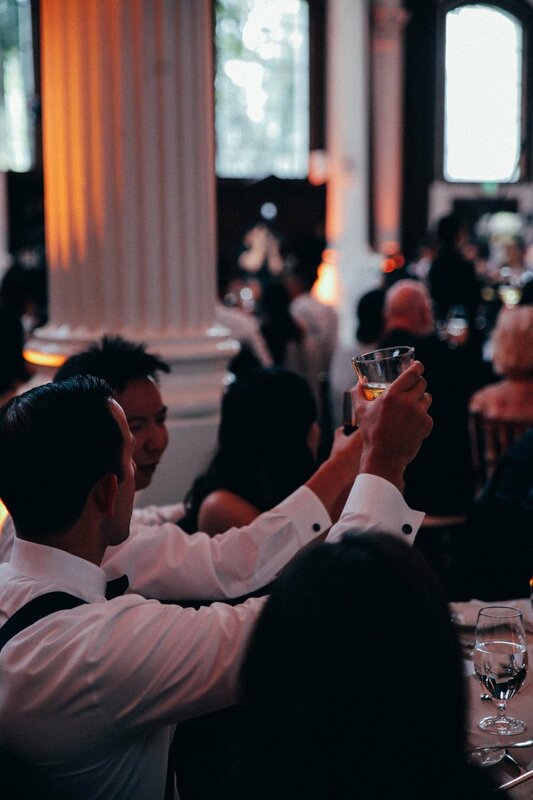 For more wedding tips and industry insights, visit the Downbeat LA blog here. 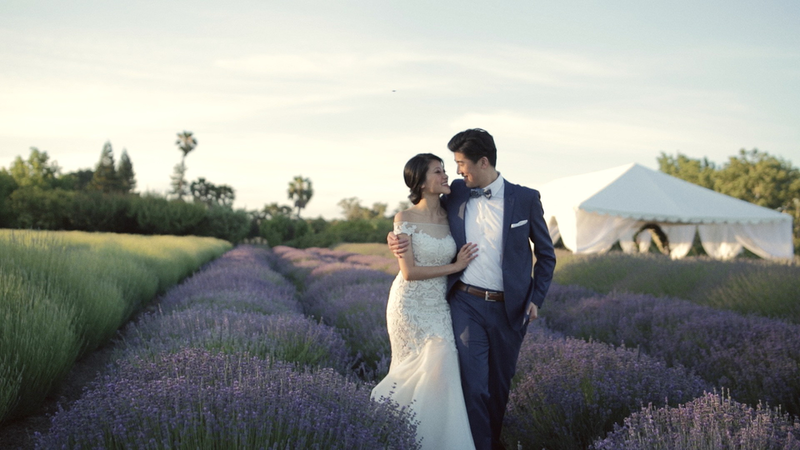 There's something so romantic about a wedding celebration secluded in the unforgettable setting of a natural landscape and garden surrounded by your closest family and friends. 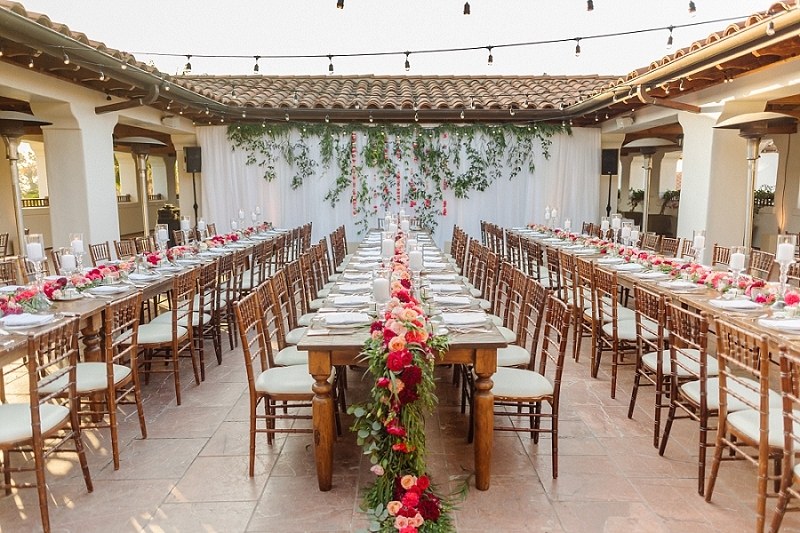 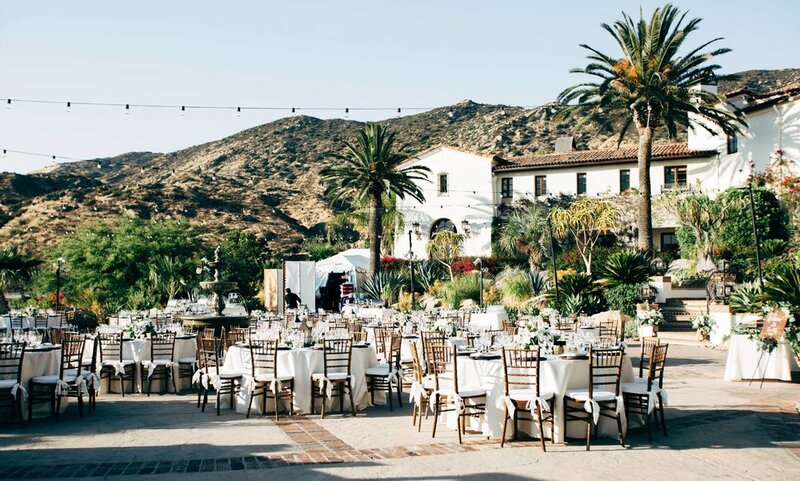 If a secret garden-feel is what you envision for your big day, we've rounded up our top picks for private California wedding venues that offer a ceremony and reception site surrounded by gorgeous gardens and floral bed-filled grounds. 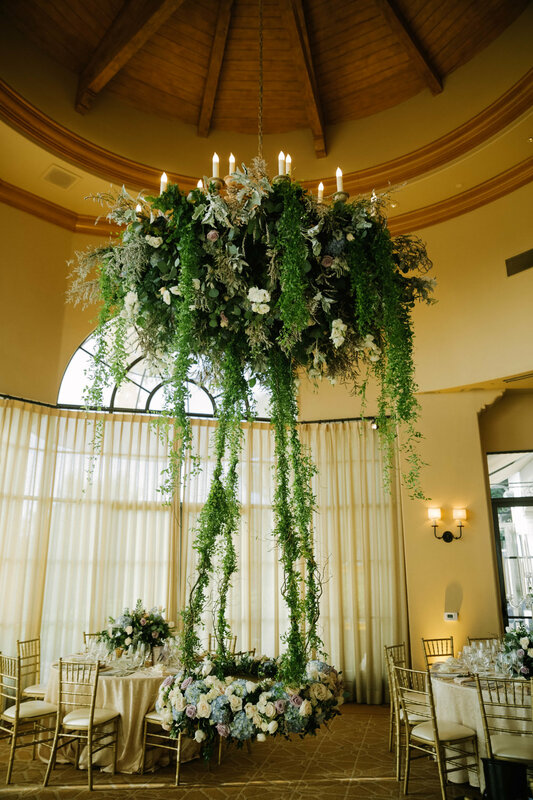 Beaulieu Garden (Rutherford, CA): "Imagine the exchange of vows in the sunken garden or dinner delightfully served under a sycamore arbor dappled with lights. 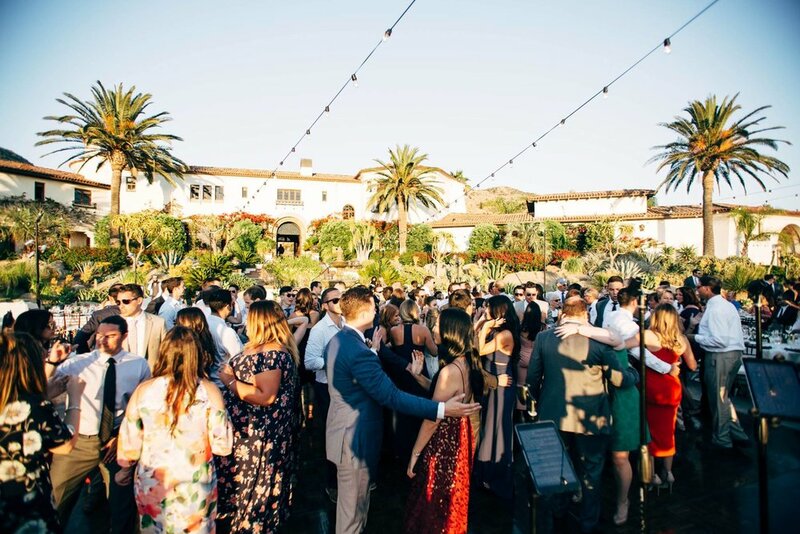 As night falls, your guests can dance beneath the stars next to a sparkling pool bordered by manicured lawns and grape vines stretching up into the rolling hills beyond." 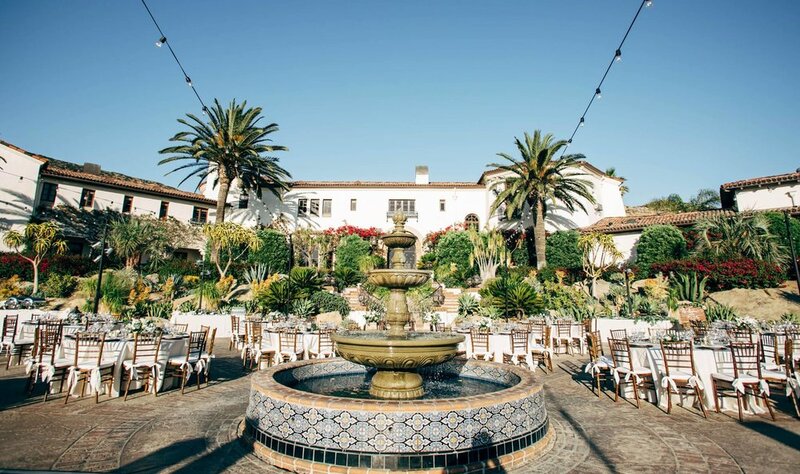 Eden Gardens (Moorpark, CA): "Situated in the hills between Thousand Oaks and Moorpark, the Eden Gardens has over four acres of gardens and a glassy pond at its center.With carefully maintained palms, colorful birds of paradise, and countless rose bushes, you are genuinely removed from everything else in a little Eden to call your own." 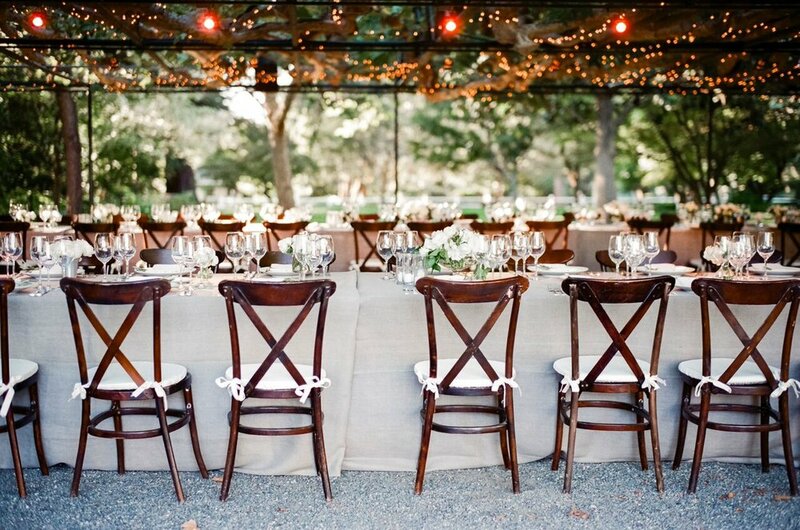 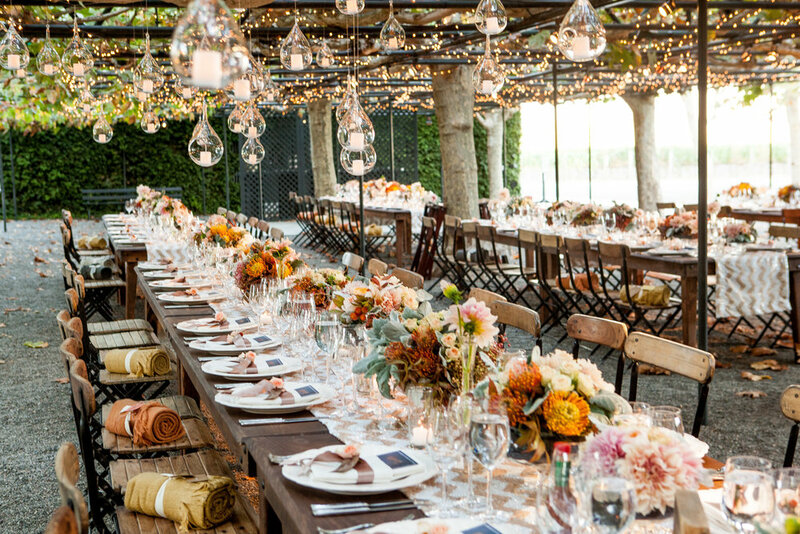 Bear Flag Farm (Winters, CA): "Just a short drive away from Napa, Bear Flag Farm is a blissfully romantic venue that captures the artisan spirit of California. 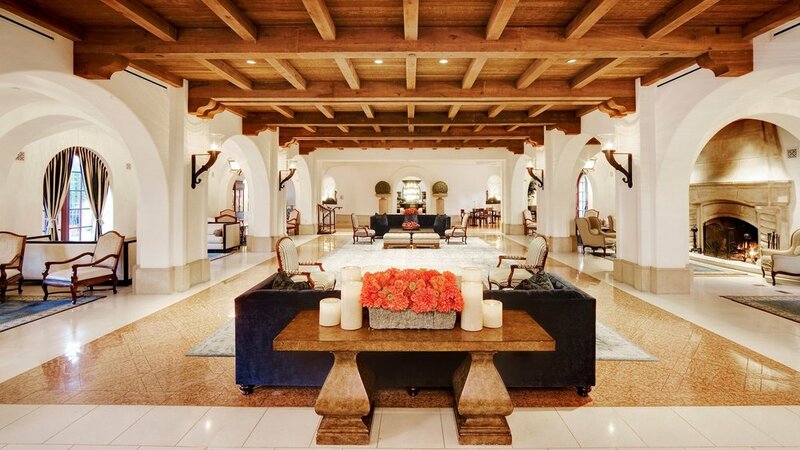 This private estate boasts acres of vineyards, orchards and lavender fields carefully positioned to optimize privacy from the outside world and an intimate environment from which to celebrate. 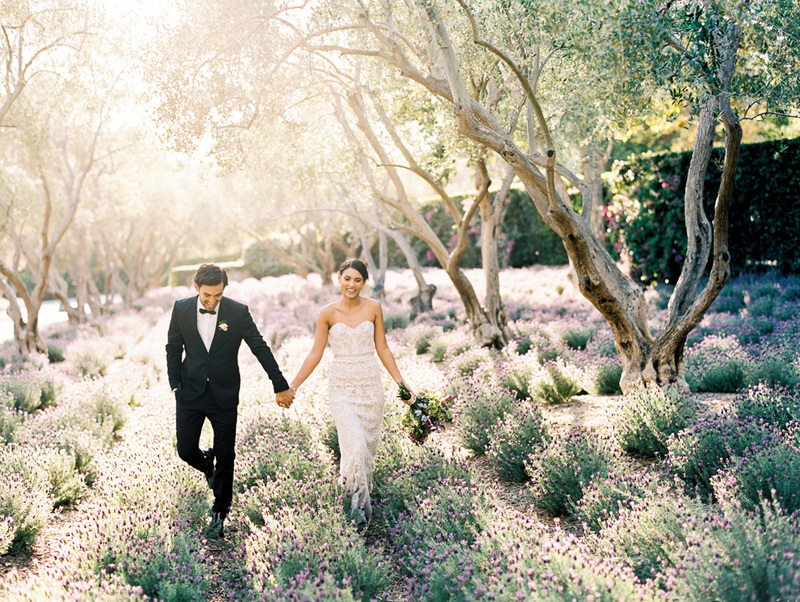 Surrounded by beautiful gardens, this peaceful estate promotes a feeling of relaxation and tranquility." 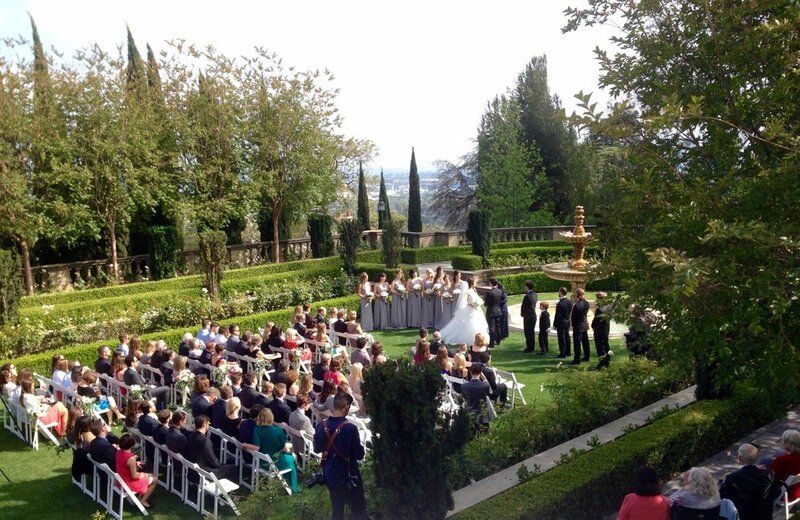 Greystone Mansion (Los Angeles, CA): "Grand or modest, Hollywood glamour or California casual, at Beverly Hills’ Greystone Mansion & Gardens: The Doheny Estate, your wedding ceremony and reception will be unforgettable. 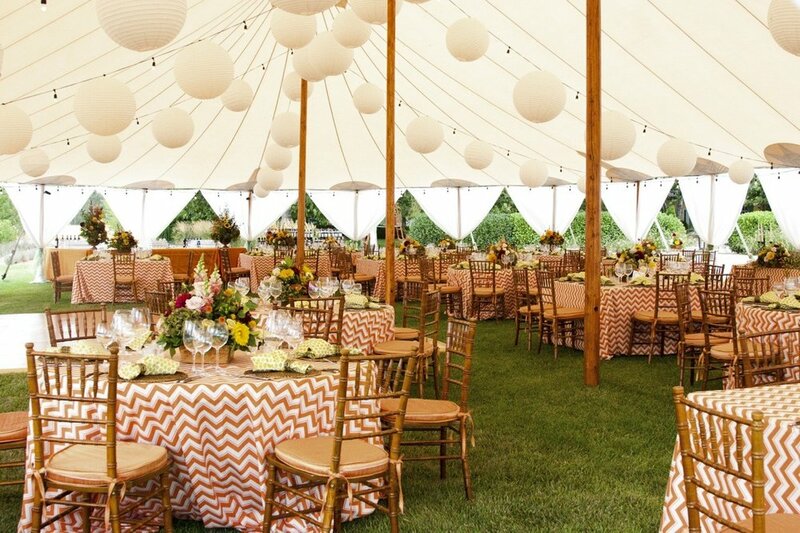 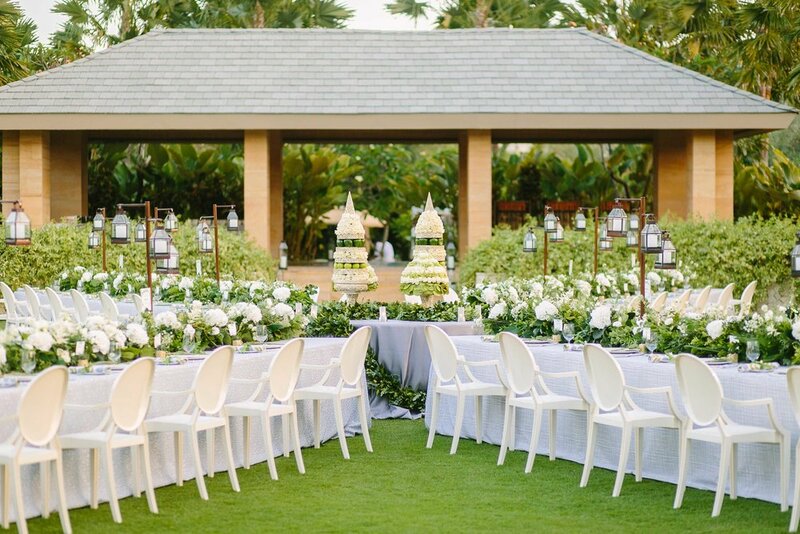 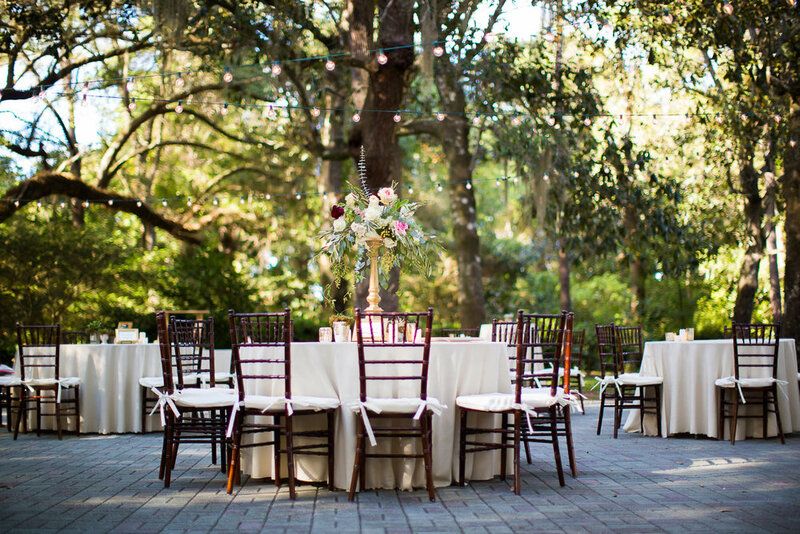 Imagine being surrounded by the beauty of a garden setting as you tie the knot among your family and friends. 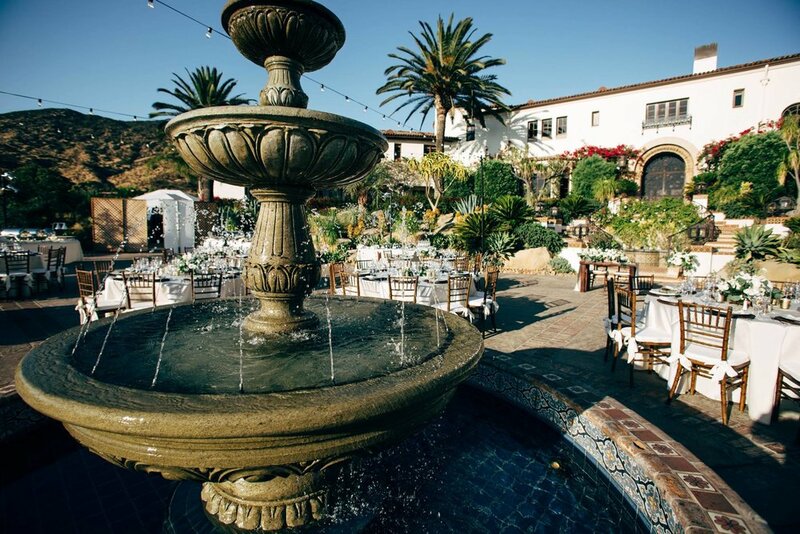 The mansion courtyard, framed by the walls of the mansion with a lit fountain in the center, suggests an air of European timelessness." 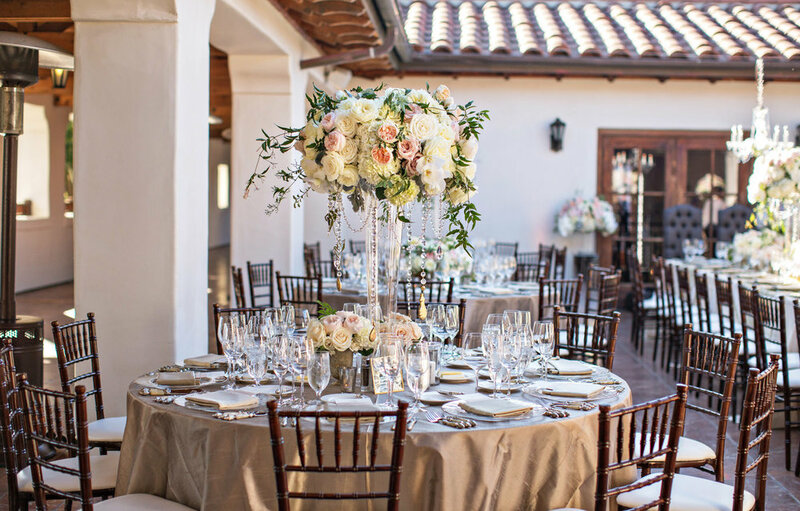 Descanso Gardens (La Cañada Flintridge, CA): "Located in the quaint town of La Cañada Flintridge in California, this venue provides several landscapes to backdrop a gorgeous wedding. 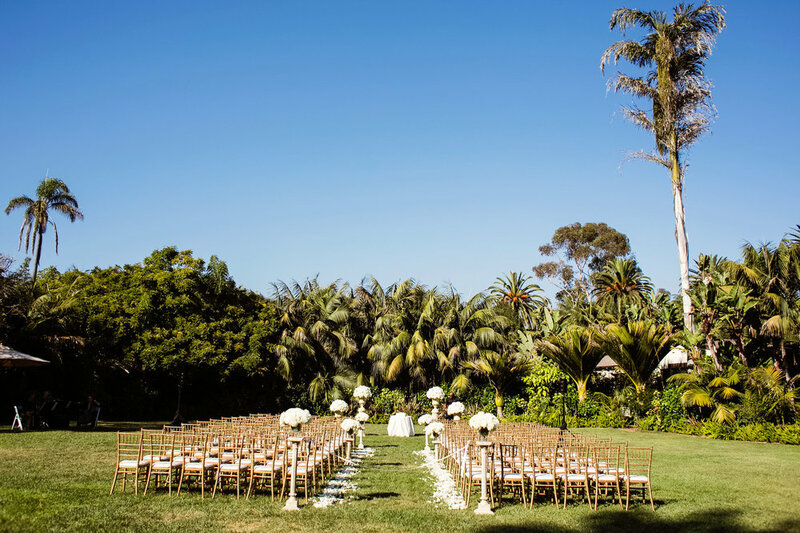 Occupying over 150 acres, this botanical garden also includes a Rose Garden, Oak Forest, Japanese Garden, and several lawn areas both expansive and intimate. 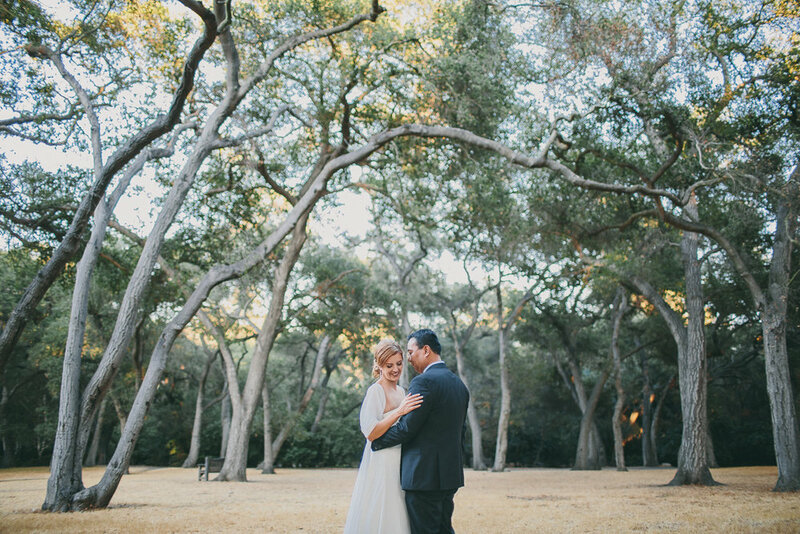 Whether among the serene bed of the oak forest or the gazebo surrounded by five acres of rosebushes, the natural splendor of Descanso Gardens never seems to end." 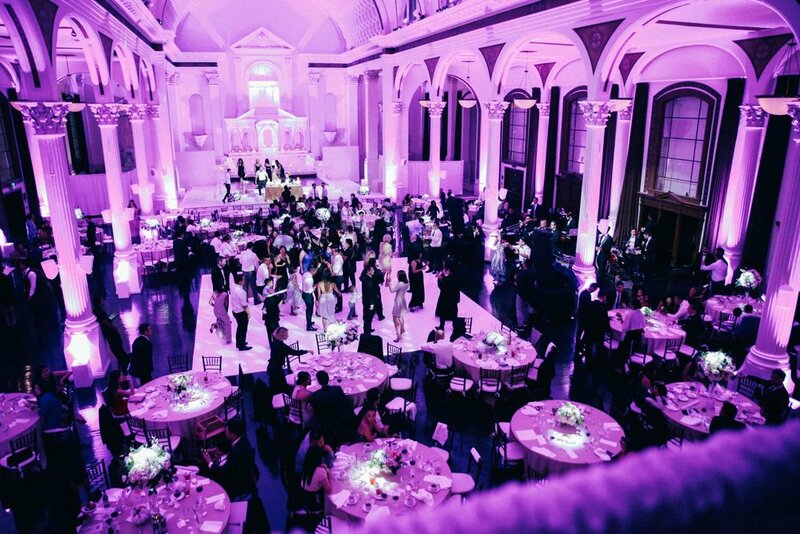 Downtown Los Angeles' Vibiana is always a favorite venue of ours to perform. 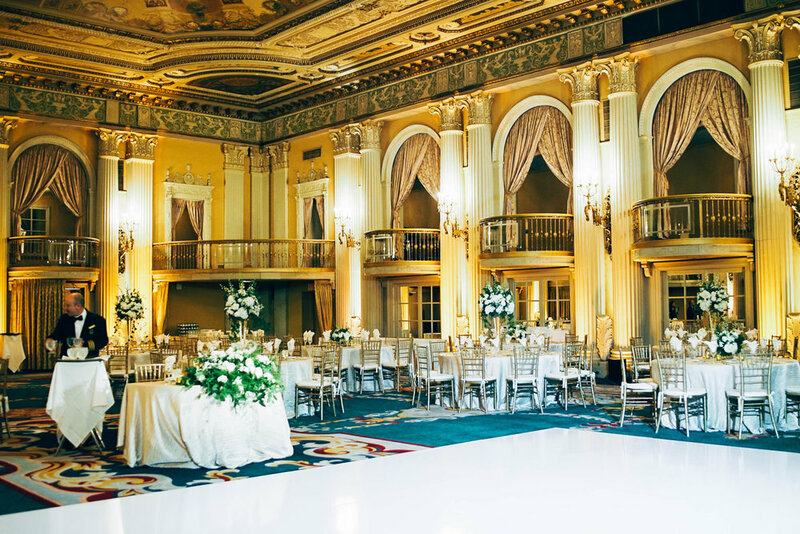 The jaw-dropping ballroom never fails to set the perfect scene at the weddings and events hosted there. 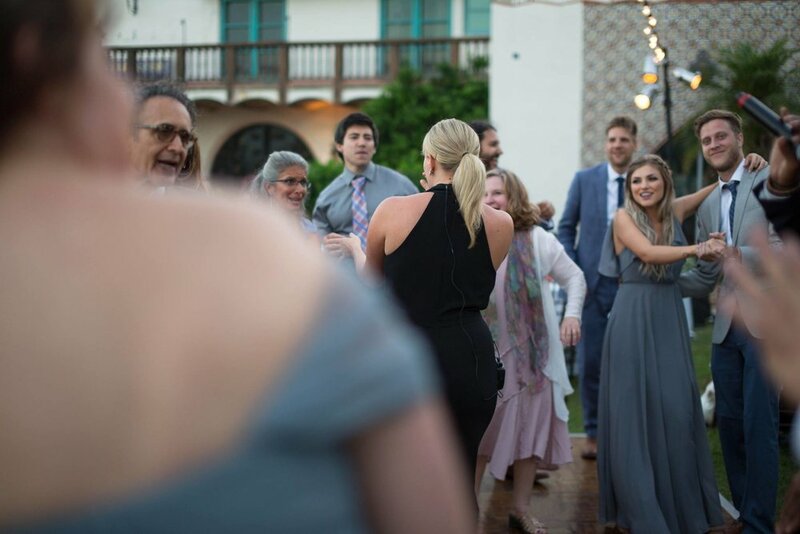 Soultones recently performed at a gorgeous wedding on the property and guests loved the energy that the 10-piece ensemble brought to the party! 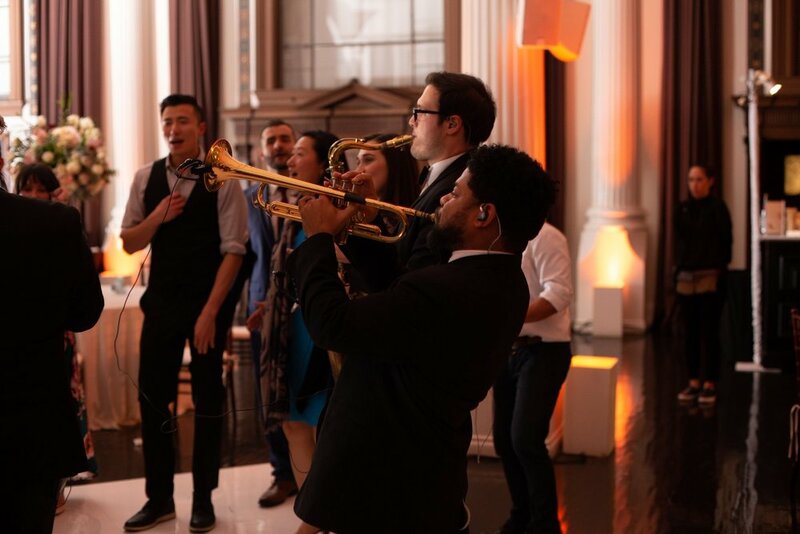 The room lends itself perfectly to the band's singers and horn players who love to go out into the crowd during each set! 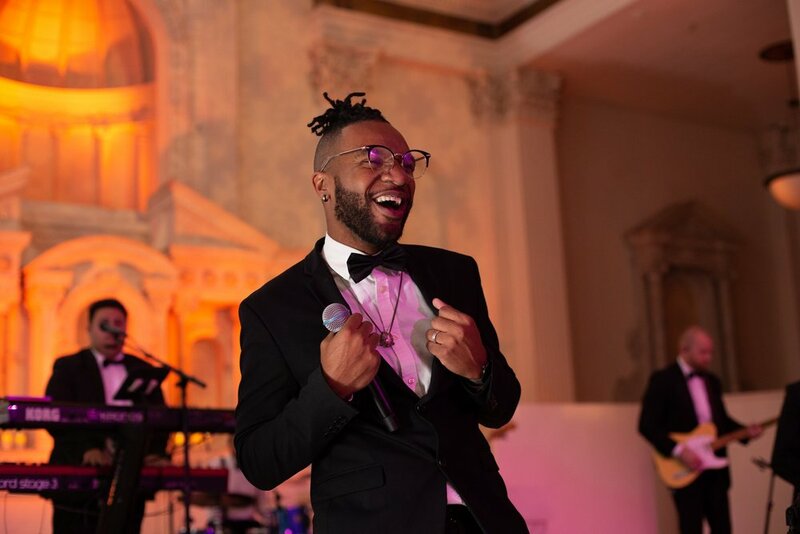 For more information on how to book Soultones for your next special event or wedding, click here.